LMP President Eugenia Miczko presents a $4,500 check to University of Chicago Chancellor George Wells Beadle to establish a professorship in Polish Literature. Mrs. Miczko states that the Legion is “proud to encourage scholarship in the literature and culture of Poland in this, one of the great seats of learning in the United States.” Click to read the full article. Chancellor Beadle is quoted here saying that “we feel that in a free society, the cultural history of a great nation such as Poland can be studied with objectivity.” Click to read the entire press release. 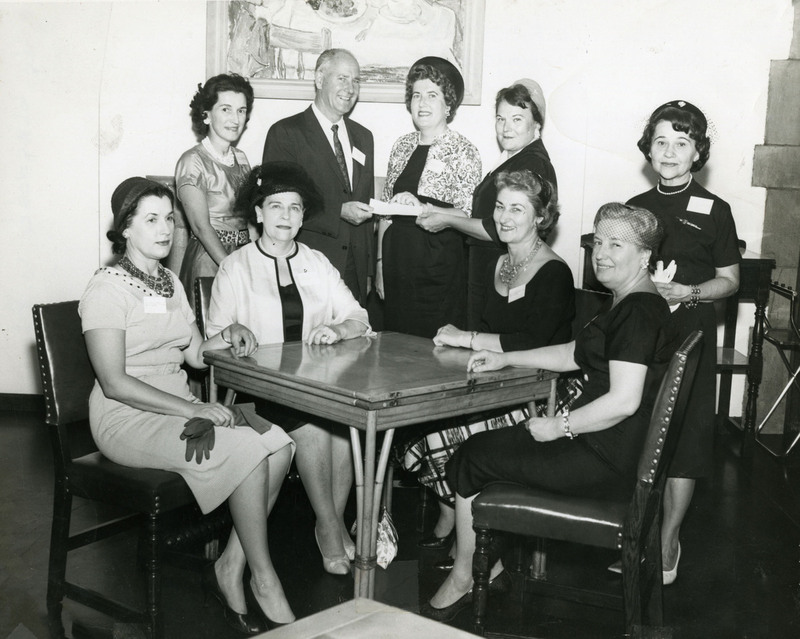 In early 1962, exiled Polish author Maria Kuncewicz (seated, middle) was named Visiting Professor of Polish Literature. 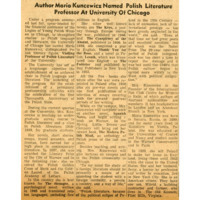 As visiting professor, Kuncewicz taught graduate and undergraduate classes in Polish literature and gave lectures on campus and in the Polish community. Click the image to read the full article. 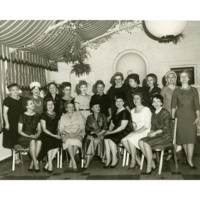 “The Legion of Young Polish Women […] agreed to provide financial assistance for the program for several years and to seek the support of the 700,000 Polish-Americans living in Chicago.” Click to read more. With a $10,000 donation in 1996, the Legion created a Polish Studies endowment with the hope that the program would continue to “respond to the changing needs of the field and the community.” Click to read more. 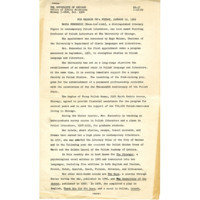 In 1961, the University of Chicago was one of only five American universities to rank among the best in the world, yet it was the only one without a Slavic Studies program. This was especially problematic as Chicago was home to more Poles than any city outside of the Polish capital of Warsaw. 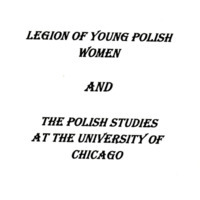 Two months after the University began a Slavic Department, the Legion of Young Polish Women made a donation to ensure that Polish Studies would be an integral part of the department. 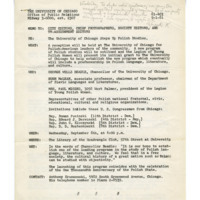 An initial gift of $4,500 was presented on September 6, 1961, to establish a professorship in Polish Literature—the first of its kind in the Midwest. 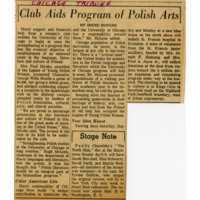 Today, the University of Chicago is one of the leading institutions for Slavic and Polish Studies.